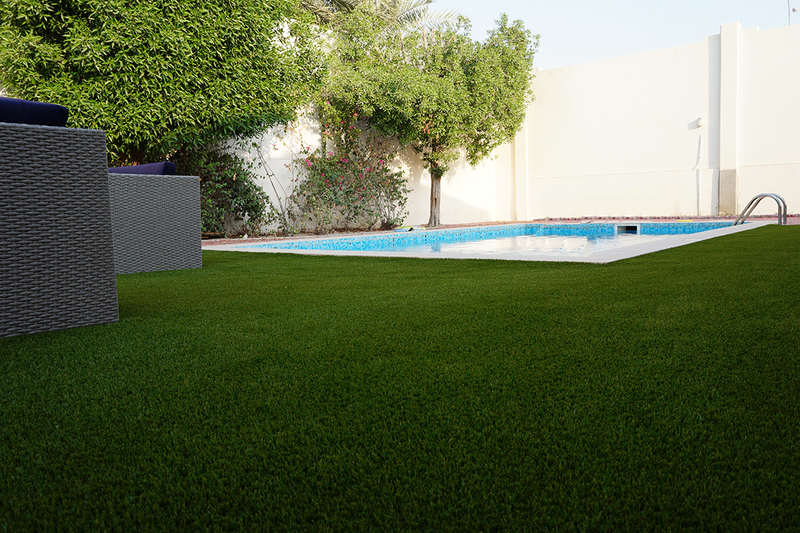 There is nothing more fun for your beloved pets than to play on your beautiful artificial grass in the garden. Unfortunately, this may come with a downside: urine on your beautiful lawn. Luckily, urine on the artificial turf isn’t harmful at all. It can, however, cause a nasty smell in your garden. So, it’s a good thing urine and excrements can be easily removed and there are several ways to make sure even the most persistent smell of urine can be removed. 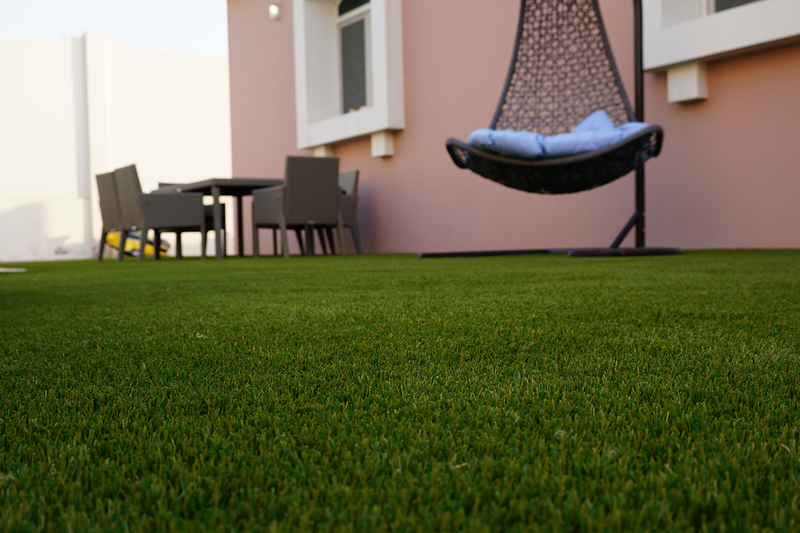 What can you do about urine on your artificial grass? 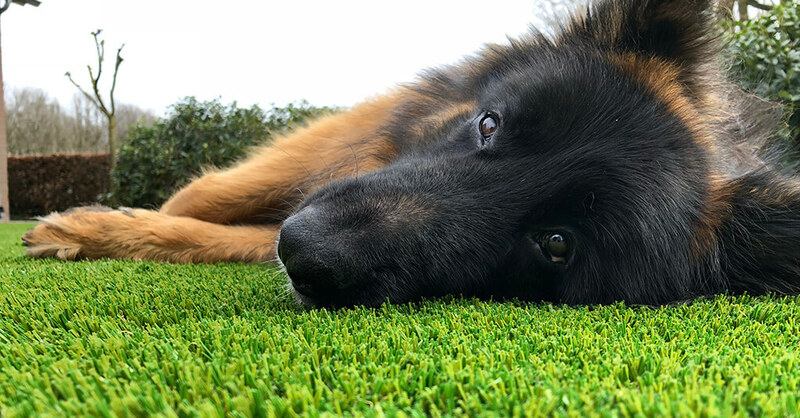 Is artificial grass suitable for dogs? When you have pets, the first priority is that your grass carpet can resist intensive use. 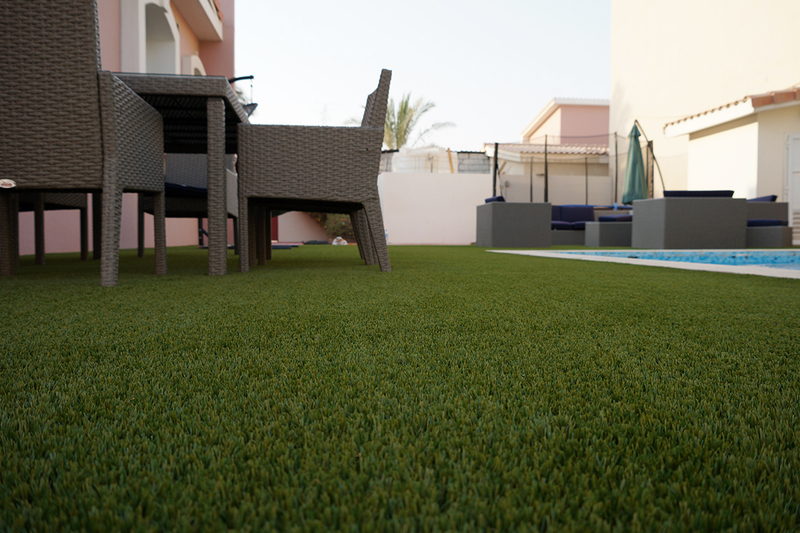 Especially dogs love to play and romp around on artificial turf. Not a problem with Royal Grass®. 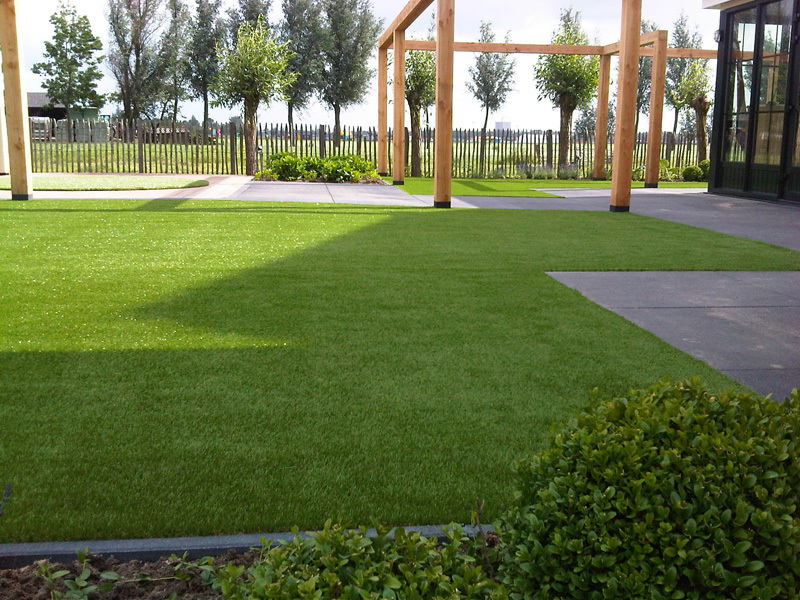 Artificial grass of Royal Grass® has been provided with a double backing and fibers that are highly resilient and wear-free. 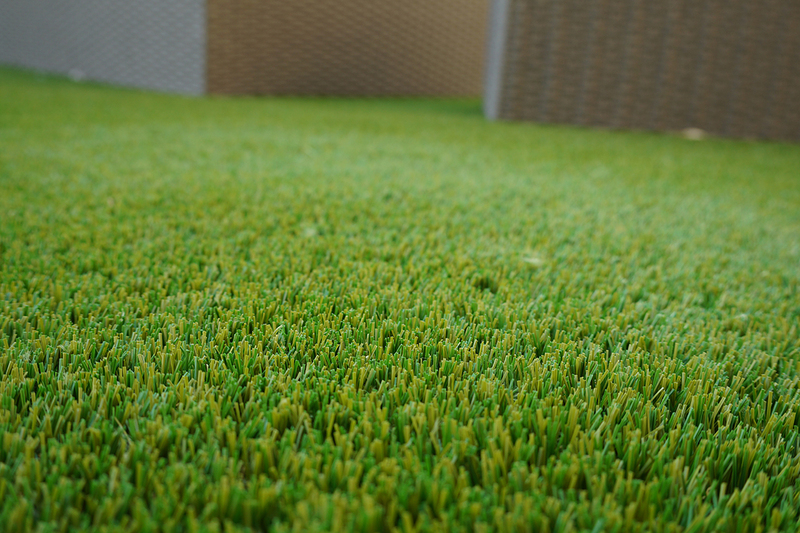 This means that playing dogs on your artificial grass from Royal Grass® are absolutely no problem. Cats and dogs can sometimes get a little too excited and may have a little accident on the artificial grass. Fortunately, this is also no problem. 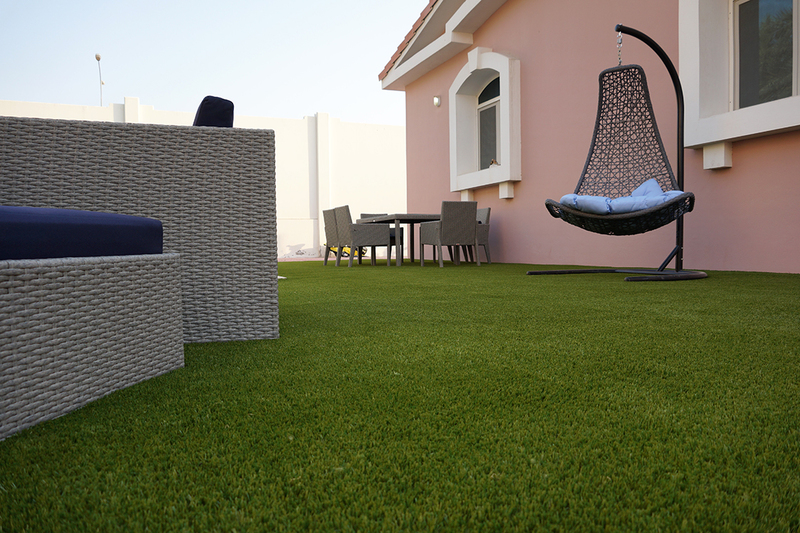 Urine and excrement don’t leave permanent stains and aren’t harmful for the artificial turf. So, there’s no need for you to keep cats and dogs out of your garden. From a hygienic point of view, it is advisable to rinse the spot immediately with some lukewarm water. Most of the time this is sufficient to prevent the smell of urine. 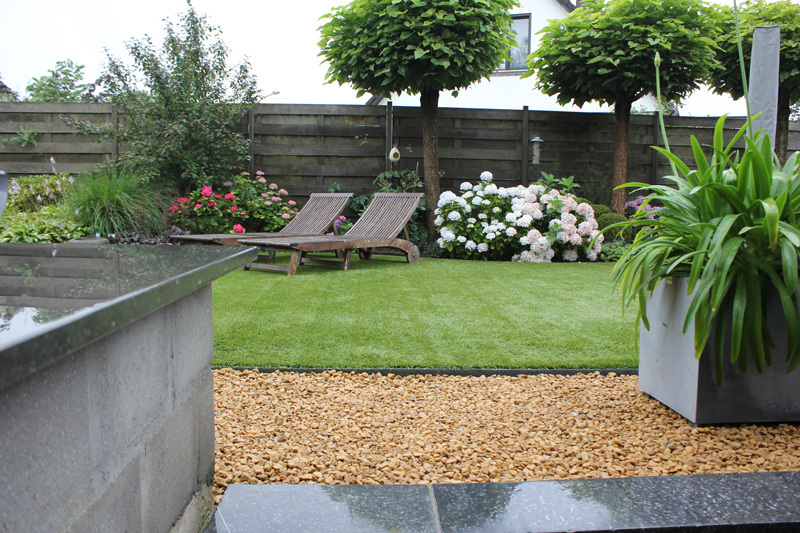 Should a urine odor in your garden bother you, there are also different ways to solve this. There are different products to combat a penetrating urine odor. 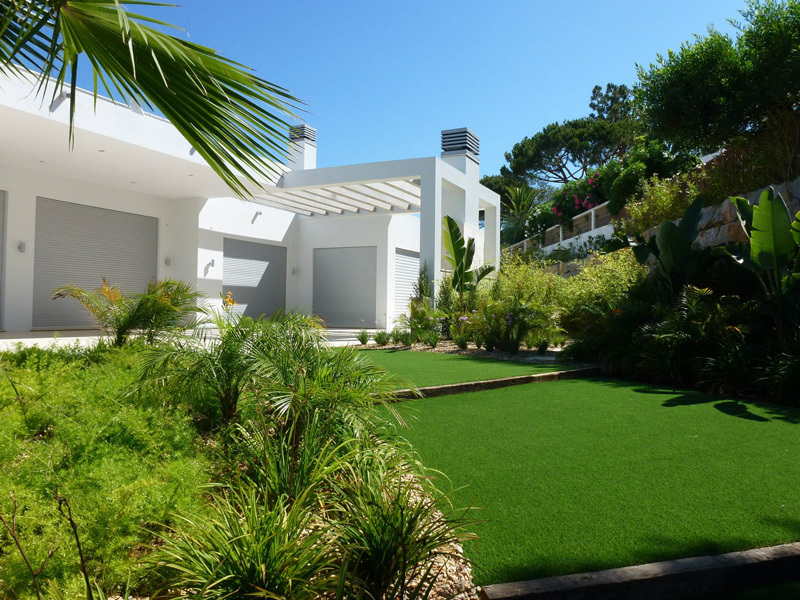 For example, you can clean the artificial turf with a mixture of water and white vinegar. There are also various biodegradable products for sale, specifically developed to remove the smell of cat and dog pee. These anti-urine sprays are for sale in garden centers and pet shops. In addition, you can use odor neutralizing granules. 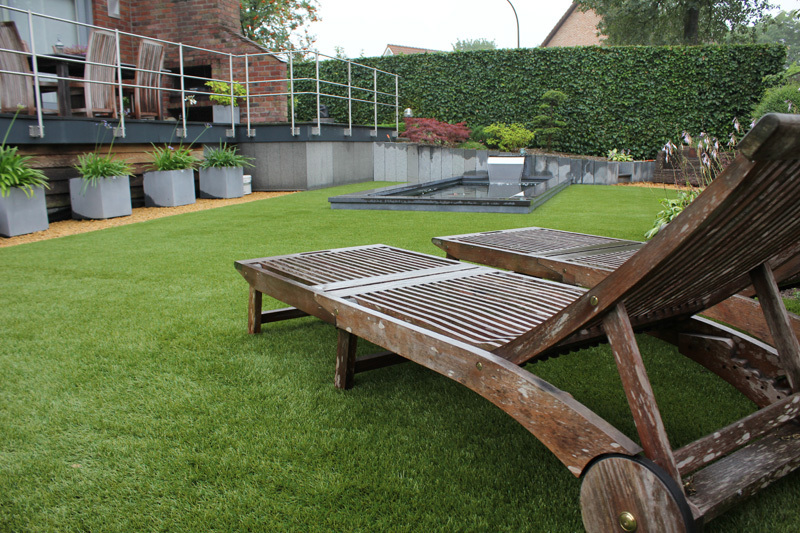 How can I get my artificial grass standing straight again? 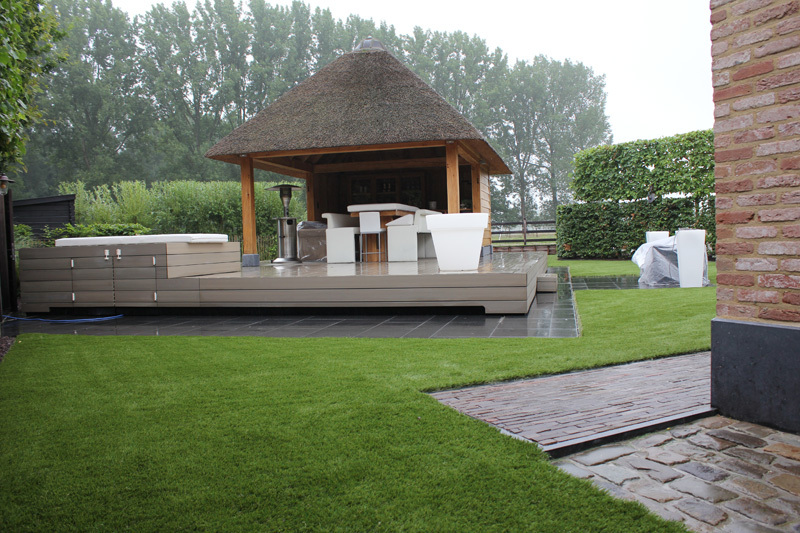 How about my artificial lawn during the winter?